A totally epic swishing beauty! As seen on the cover of the Spring 2018 issue of FAE Magazine, here's our Fae of the Falls Gown! 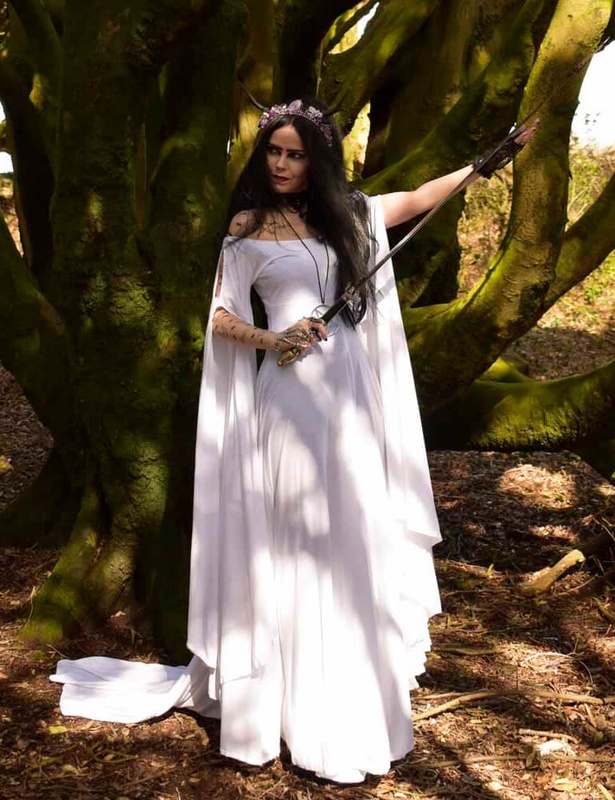 Made from soft cotton jersey, it has a not-quite-off-shoulder neckline; the dress is fitted under the bust, with a glorious skirt that is fitted over the waist, then flares out in all it's elven splendour ending in a train.